Highly Upgraded La Jolla Model with Downstairs Master Suite in Desirable Laguna Oaks! Located Away from Freeway. This Impeccably Maintained Home Has 4 Bedrooms, Bonus Room (Possible 5th), Private Office, 3 Â½ Bathrooms and 3886 Square Feet. Can Be (Builder Option) Expanded to 4106 Sq Ft. by Converting Fourth Car Garage. Large Premium .35 Acre Lot. Private Expansive Rear Grounds. Front & Rear Landscaping Upgraded in 2016. Recently Completely Remodeled Gourmet Kitchen Opens to Family Room. Save $1,000's with Owned Solar System. 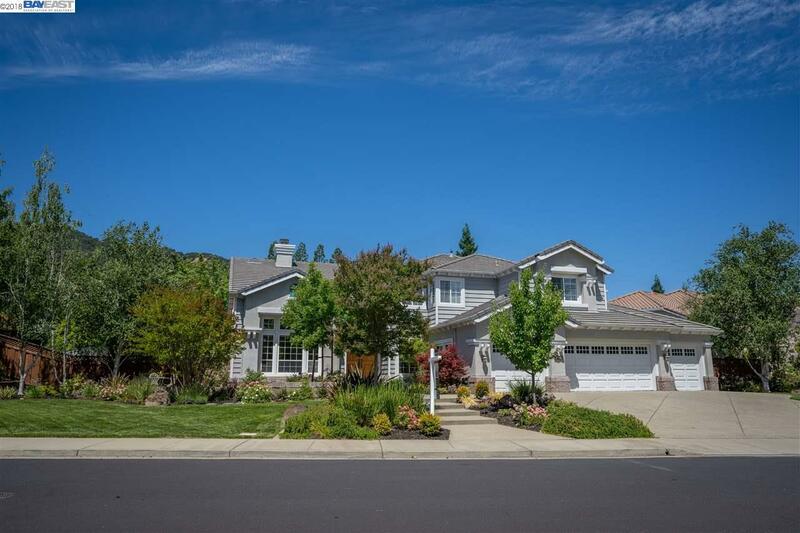 Spacious Master Suite with Fireplace and French Doors to Backyard Patio/Sitting Area. Upgraded Master Bathroom Includes New Large Walk-In Shower and Recently Installed Closet Organizers in Double Walk-In Closets. Two Zone Heat/Air, Tile Roof. Air Conditioned Four Car Garage with Electrical 220V Upgrades for Workshop Option. South Pleasanton Location Provides Quick Access to Freeway for Silicon Valley. Attendance Area for Great Schools. Short trip to Main Street.